The World Heritage Youth Project on Marine Biodiversity & Climate Change, held from 25th to 29th of January 2016 in Panama at the World Heritage site of Coiba National Park and its special zone of marine protection, was organized in the framework of the World Heritage Education Programme in cooperation with MarViva Foundation. The World Heritage Youth Project on Marine Biodiversity & Climate Change aims to strengthen links between Caribbean Small Island Developing States (SIDS) and Central American countries (CAM) by empowering young people and their organizations as well as imrpoving their capacity for planning World Heritage conservation projects. 14 youth aged between 20 and 30 years of age, from 14 countries (Barbados, Belize, Cuba, Costa Rica, Dominica, Dominican Republic, El Salvador, Guatemala, Honduras, Jamaica, Mexico, Panama, Saint Lucia, and Suriname) were selected; each with background experiences in projects related to marine biodiversity and climate change. 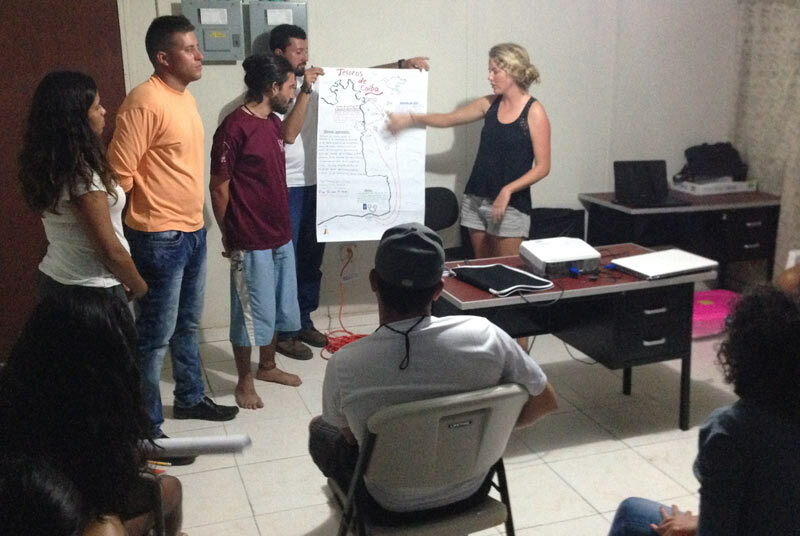 The participants had the opportunity to discuss different topics related to biodiversity, the impact of climate change and the management of the World Heritage site of Coiba National Park with local experts and researchers. 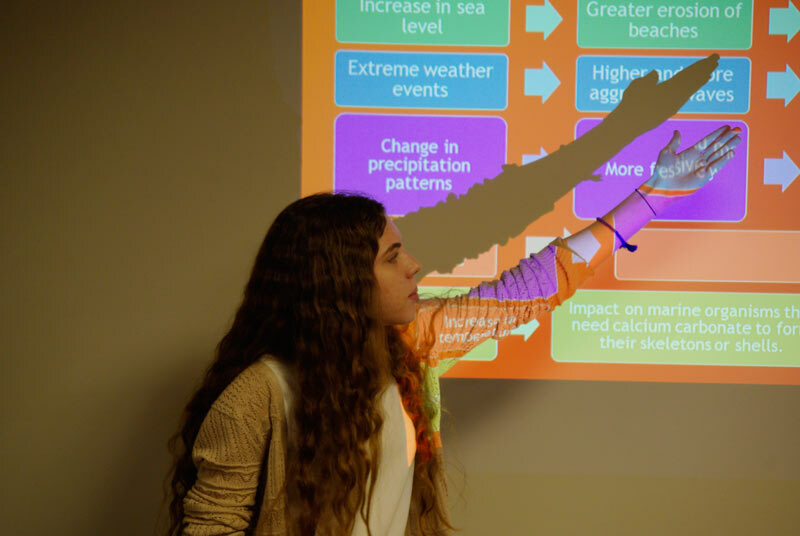 They also presented their past or current projects on marine biodiversity, climate change, or sustainable development. The site manager introduced the participants to Coiba National Park’s terrestrial (primary and secondary forests, mangrove) and marine ecosystems (sandy and rocky shores, coral reefs) during field trips to the main island of Coiba and diving on the island of Granita de Oro. Participants observed, analyzed and documented the flora and fauna of the site with the aim of making tourists trail maps which they presented to the national park management. Impact of climate change in the quality of life. Conservation and restoration of ecosystems. Sustainable development in the prism of circular economy. promotion of forums and training opportunities focused on identifying the sources of waste and adopting methods of waste reduction. In addition, the participants proposed three activities sheet targeting young people between 13 and 18 years of age. The first activity entitled “Know Your Neighbors” is an outdoor activity which aims to raise awareness of young people living close to ecosystems threatened by climate change. The second activity entitled “The Harvest” aims to introduce the concept of sustainable resource management in the food sector and cooperation among community groups. The third activity entitled “Sustainable Adventure” is a roleplaying card game about sustainable development where young people play a key role in the development of their community via sustainable practices. Participant from Dominican Republic presents the Impact of climate change and anthropogenic activities on the geomorphology of Bávaro-Punta Cana beaches. 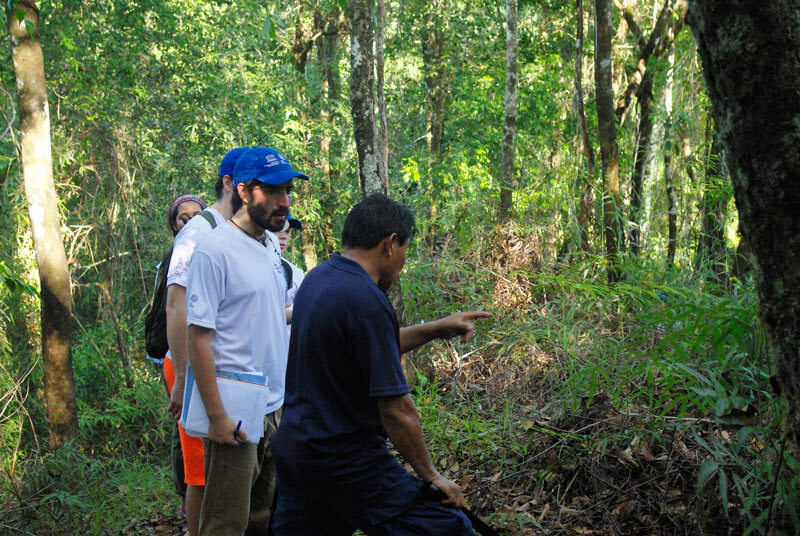 Accompanied by the local guides, participants conducted field observation of the flora at Coiba National Park.